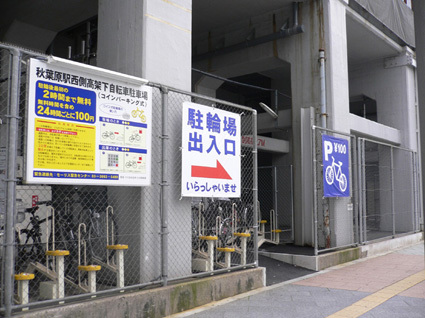 This parking lot is offered only for the public space for parking, so that Chiyoda-ku does not take any responsibility for thefts or accidents that might happens in this parking lot. Please make sure to lock your bicycle and take own responsibility for safety of your properties. Thank you. 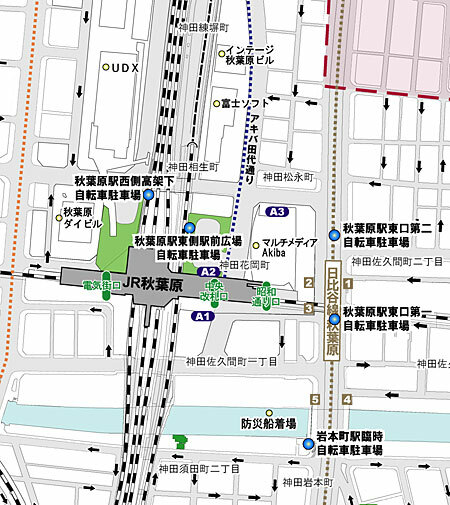 １）Do not damage or pollute the parking lot and annexes to it. ２）Do not behave offensively to other people who use this parking lot. ３）Do not bring in any materials that could ignite, explode, or make hazardous smell. ４）Do not park more than reasonable amount of time. 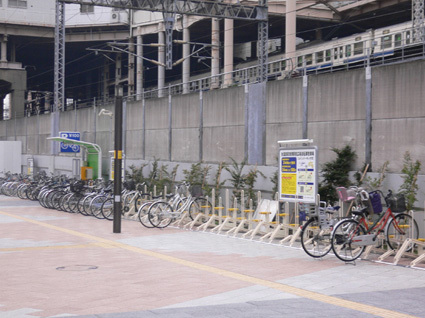 ・This bicycle parking lot is only for people who have registered and have permission passes. 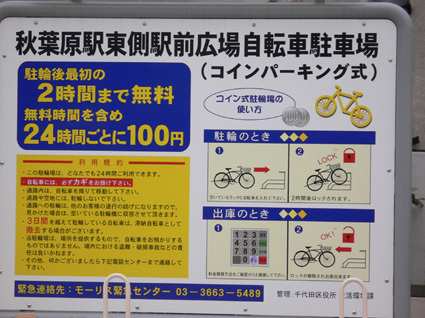 ・Bicycles and motorcycles, which offends restrictions or are without registration, will be removed by accordance with Chiyoda-ku regulation. ・While removing those vehicles, we might break their locks, if it is necessary. There is a registration period for once a year. However, we will accept registrations regularly as long as there is vacancy.